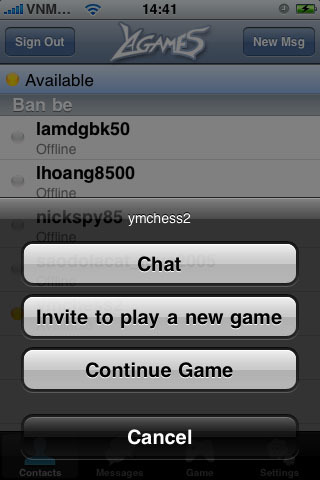 PLAY CHESS VIA YAHOO MESSENGER, WOW! 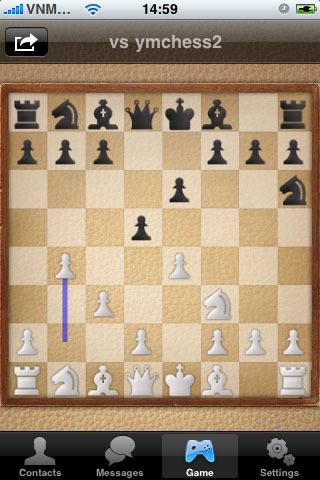 Have you ever imagined to play Games with your friends via your Yahoo account? Well now it’s true with YaGames! 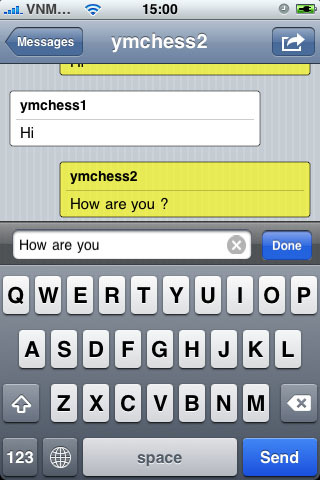 With YaGames you could easily chat and play games with your friends via Internet at the same time (YaGames currently supports two games such as Chess and Chinese Chess, a lot of other popular games - like Checker, Sudoku, Tic-Tac-Toe, Gomoku, … - will be added in the next short time). 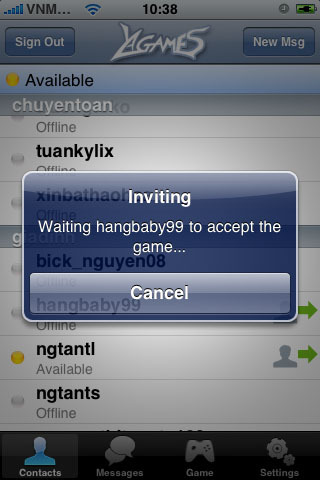 ✓ Play games with your friend via Internet with your Yahoo Accout. 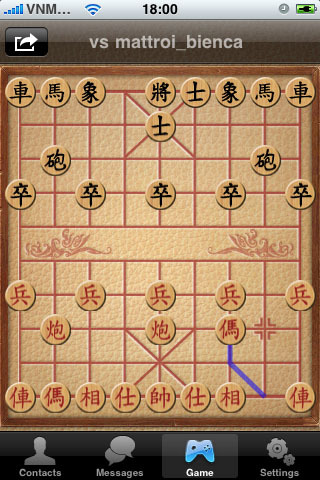 ✓ Support two games: Chess and Chinese Chess (a lot of other popular games will be added in the next short time). ✓ Support Undo, Resign and Adjourn game. ✓ Support to invite other people not in the buddy list to join games. ✓ Show your buddy list. ✓Simultaneously chat with your different friends. ✓ Chat with other people not in your buddy list. ✓ Experience as if you are using standard Yahoo application. - Fix some crash bugs.